Join MASS' fight for justice! Looking for all the latest news from MASS? Check out the MASS members' area. What are the benefits of joining MASS? Looking to widen your industry network? We can help to raise your profile. 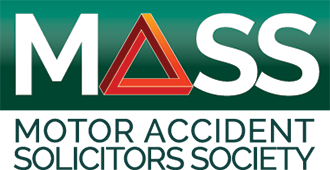 MASS is a national association of motor accident solicitors who represent victims of road traffic accidents. The society is non-profit making and all our members are experts in road accident and personal injury claims. MASS has been lobbying the Government for over 25 years to ensure and protect the rights of the accident victim. I was very lucky as the [MASS] solicitors I had made sure I was informed how my claim was progressing. I was given treatment and had two medicals. If you have had a road traffic accident you may be unsure of where to go to get help and advice. You can be confident that our members are specialists and will give you expert legal advice, arrange appropriate medical treatment, settle your claim fairly, and always treat you with sensitivity and care. Login to the exclusive MASS Members’ area. Find out the latest industry news and what MASS is doing on behalf of its members and the victims of road traffic accidents and what’s going on in your region. Not yet a member of MASS? There are many benefits of joining our nationwide society. We recently asked some of our members what it means to them to be MASS members. Working with MASS provides excellent opportunities to network with your target audience and raise your company’s profile by promoting your products and services to specialist PI solicitors.